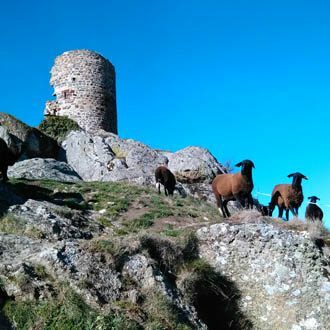 A small farm of black sheeps of the Velay situated in Rochegude, a little hamlet of the village of Saint-Privat d’Allier. 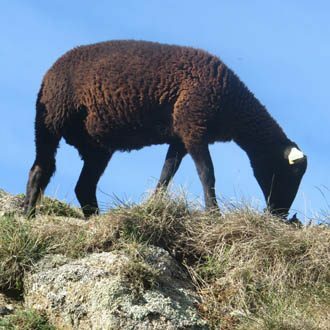 The ewe Black of the Velay is a french ovine breed from the volcanic plateau of the Velay, in Auvergne. We don’t know exactly where il comes from but we are sure that this breed has lived in the region for a very long time. After nearly disappearing at the beginning of the 19 century, its situation has improved and the numbers do not stop increasing today. 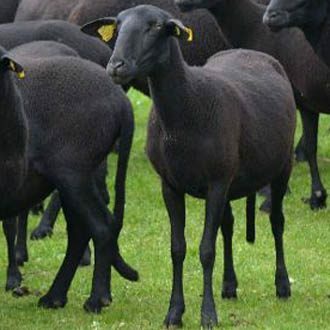 The Black of the Velay, whose skin is black and its wool is black-brownish, is a rustic ewe, excellent for his maternal qualities. It’s early, quite fertile and with a good dairy production that permits a good growth of the lambs. These lambs give carcass which have a modest physical structure, that’s why we often cross the breed with rams that have good beef qualities. Moreover it’s easy to have lambs out of the season, so the production can be intensified with a system of 3 lambings in 2 years, which is the more frequent for this breed. 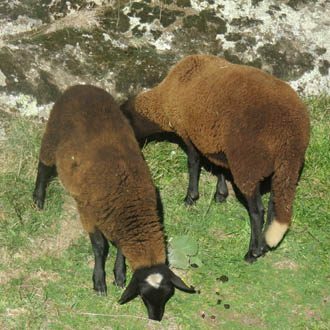 The Black of the Velay is one the more ancient ovine breeds, very rustic, raised by the Celts. We think it arrived in France about 1500 BC when the celtic people settled down in the Massif Central. Located at about 1000 meters, this is the perfect place for sheep breeding. The lambs are exclusively fed with grass. They stay in a pasture land most of the year, only the snow and strongly negative temperatures lead us to keeping them inside where they eat hay . The hilly relief, the diversified flora, the altitud permit to obtain animals which are not very fat, with a subtle flavour. According to some restaurant owners, the black lamb has got a delicious taste of hazelnut. I don’t like the organic label but I raise my lambs the most naturally possible with very few treatments and a natural food : grass, hay, mashed cereals and … time !! The weight of a package od half a lamb is between 5 and 7 kilos maximum. The meat is cut and vacuum-conditionned, ready to be frozen if necessary. Do not hesitate to ask me for any further information. 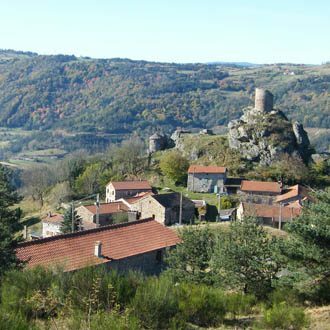 I will get in touch with you after receiving the form inorder to plan with you the delivery in Haute-Loire.